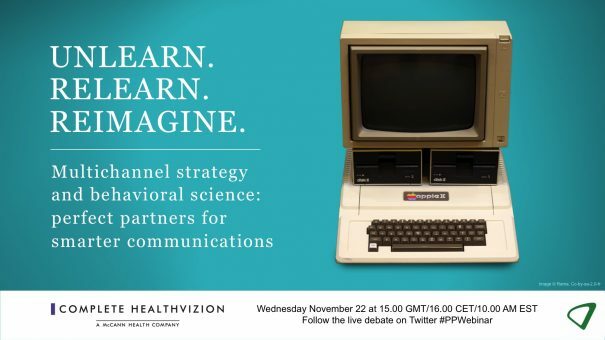 In this webinar, we discussed how multichannel strategy and behavioral science are natural partners in creating smarter, more meaningful, and more effective communications. The premise is simple: if a deeper understanding of human behavior is applied, we can more accurately determine where to focus communications for the best effect, design the most appropriate multichannel strategy and content, and put the right metrics in place to measure success. The practical application of this approach, and its impact on channel selection, content strategy, and metrics. The live webinar will take place on Wednesday 22 November 15.00 GMT/ 16.00 CET/ 10.00 EST. To view on demand, please click here or on the button above/below. Dr Ebert works within the Brintellix Science Team at H. Lundbeck A/S, being responsible for scientific communication and education. He has a PhD in Molecular Pharmacology from the Danish University of Pharmaceutical Sciences (now the University of Copenhagen) and a Doctor of Science from the University of Copenhagen. Following post-doctoral positions and time spent as an Associate Professor at the University of Copenhagen, he joined Lundbeck in 2000. Dr Ebert has organised more than 25 scientific symposia at international conferences and is an author on over 120 papers (publications in peer-reviewed journals and indexed on PubMed). He is also the inventor of five patents. David has 17 years of experience working within digital communications across multiple sectors. For the past 7 years, he has worked exclusively within healthcare communications in a number of senior agency-side digital and multichannel strategy roles. During that time, David worked with large pharma as well as small biotech companies in the development, execution, and measurement of multichannel engagement strategy, focusing on both HCP and patient needs. He has worked in a range of therapy areas, including oncology, diabetes, GI, CVM, neurology, nutrition, and rare diseases. Robert has 19 years of experience in healthcare communications, working collaboratively with clients to transform innovative science into communications programs that empower HCPs to improve patients’ lives. He has a particular interest in applying behavioral science to drive smarter, more effective communications.